Why did biochemical control not translate into a survival increase after brachy boost therapy? The first randomized clinical trial to prove that brachy boost radiotherapy had better oncological outcomes among high-risk patients was the one published by Sathya et al. in 2005. After 5 years, 36 percent of those high-risk patients who received the brachy boost had a PSA recurrence vs. 66 percent of those who received external beam radiation (EBRT) only. In an update, the authors have now reported that overall survival was not significantly different in the two groups. This seems to call into question whether PSA recurrence is a useful surrogate endpoint for survival, or if it is, under what circumstances? Brachy boost (BB) comprised 35 Gy of irridium-192 over 48 hours plus 40 Gy of EBRT in 20 fractions for a total of 75 Gy [sic]. EBRT-only compromised 66 Gy delivered in 33 fractions using 2-DRT (an outmoded external beam technology). None received androgen deprivation as part of their radiation therapy, nor afterwards unless PSA reached 20 ng/ml. Despite ongoing benefit with respect to biochemical disease control, long term follow up out to 2 decades failed to demonstrate improvements in other important outcomes such as development of metastatic disease, deaths from prostate cancer and deaths from any cause. Increased biochemical (PSA) control usually translates into increased survival later on. That correlation is well-characterized. So why did it not in this case? This study, with a sample size of only 104 patients (51 BB; 53 EBRT-only), was not large enough to detect statistically significant survival differences. We note that directionally there was an improvement in survival even though the difference wasn’t big enough for 95 percent confidence. Also, 40 percent were intermediate-risk patients who are slower to have detectable metastases and are more likely to die of other causes. By contrast, the ASCENDE-RT trial of LDR brachy boost therapy recruited 398 men, 30 percent were intermediate risk, and may eventually be able to demonstrate overall survival differences with longer follow-up. We have to acknowledge that the doses delivered in this study were below what is now considered curative, and the findings here are to a large extent irrelevant. I am at a loss to explain how a hot iridium implant could be left in a patient for 48 hr without doing serious damage or cooking the prostate to a crisp. Perhaps they used cooler implants back then. I can only trust that Dr. Sathya is correct in not making a correction for the lack of fractionation, which would be typical. 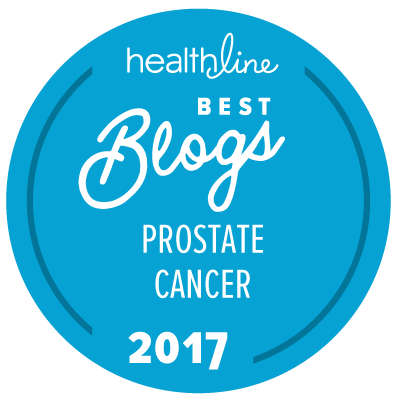 It seems the BB dose was sub-optimal as demonstrated by the fact that in a quarter of men, the cancer was left alive in the prostate. EBRT-only was worse — leaving cancer alive in the prostates of twice as many men. Although they dissected some pelvic lymph nodes that they could find, we now know that even with improved modern lymph node detection methods, we miss 44 percent of positive lymph nodes (see this link). The 6 percent who were metastatic might have been caught with some of our new PET scans. So, in both groups, there was a lot of cancer left behind. Many high-risk radiation patients today would have had whole-pelvic radiation and would have had hormone therapy for up to 2 years. This highlights the importance of expanding the treated area, using escalated doses, and adding systemic therapy when the probability is high that the cancer might have escaped the prostate. Even though BB wasn’t curative for many high-risk patients, it is disappointing that death was not delayed by reducing the tumor burden. There are several clinical trials of treating the prostate (with surgery or radiation) even after metastases have been detected, thereby hoping to prolong survival by reducing the load of cancer cells. Metastasis-directed radiation is sometimes given in this hope as well. Both of those therapies decrease PSA, at least temporarily. But only treating PSA serves no purpose if that is the only outcome. If this study is any indication, the cancer will catch up and replace the killed cells with no net survival benefit. I hope that is not the case. In addition to the questions you so correctly have, I want to ask if we know just what were the causes of death that were not prostate cancer-specific. If from possibly avoidable causes like heart attacks, then that would emphasize the need to take care of one’s overall health in addition to treating the cancer. Sorry. I have no idea. I am sure they could have included all sorts of normal disorders of aging males (cardiovascular, diabetic, you name it). However, I think we need to be cautious about the word “avoidable”. Sooner or later we are all going to die of something. It’s one of the few certainties of life. And some of us come with better constitutions than others — whether we get prostate cancer or not. But it is a wise man who always does what he can to look after his general health if he wants to squeeze the most out of life! The abstract tells us that of the 75 men who died, 21 died of prostate cancer, 25 died of a second, unrelated cancer, 13 died of CV disease, and 3 died from falls. The median age would have been 80 by the end of the study, so there are many competing causes of death by that age. Assigning cause of death can be difficult; for example, a man with widespread metastatic disease may have multiple organ systems so compromised that, while he may die of, say, cardiac arrest, the cancer may have been a contributing factor. Oh boy, I really did not need this article, especially the bits about statistical significance. But Allen’s noting “directionally” more favourable results and the small sample size, reassured me. One wonders why such small studies are carried out in the first place. I had BB + EBRT + ADT (neoadjuvant, concurrent, and 3 years adjuvant), starting early in 2009. Whilst side effects are heavy — osteoporosis, radiation cystitis, and hypogonadism — I am satisfied. One doctor whom I respect and who respects me, argued strongly with the others for this treatment. One big fear was death from distant metastases. (The fear was high enough to counter fear of cardiovascular events.) These have not yet shown up and the risk from them decreases with time (as the post-test interval increases, the chance of a metastasis showing up decreases; note that in this sample 2 years was taken as a biopsy interval). Another reason I am not very worried is that the second in command with my BB helped develop this complex treatment. Dayes’s “Beyond the Abstract” essay provides some answers to Stan’s question. Of the 75 deaths that have occurred, 21 were from prostate cancer, 25 from a second, unrelated cancer, 13 from cardiovascular causes, and 3 as a result of falls. That leaves just 13 deaths the causes of which are not reported in this essay. As Allen Edel has already pointed out, unless there is an autopsy, assigning actual causes of death in men of 70+ years of age (as opposed to the apparent causes) is really extremely difficult. While I was aware that the authors had provided the data given by Allen and by Tom, I think that all one can really state for the majority of the non-prostate cancer-related deaths in this study with a high degree of accuracy is that the death records for these patients listed causes other than prostate cancer. Autopsies are not routinely carried out on the majority of men who die after the age of about 70 years unless there is some very good reason to suspect an unusual cause of death, so the actual cause of death is undetermined in most cases. Even when autopsies are carried out in men of this age, assignation of the actual cause of death can be extremely difficult because (as Allen states) the real cause of death is probably some forms of organ failure.